In this increasingly customer-centric business landscape, it’s getting more important than ever for companies to tap into their buyers’ mindset. By putting yourself in your customer’s shoes, you’ll understand their pain points, needs, and decision-making process better. Buyer personas are one of the most tried and tested ways of getting into your target audience’s psyche. However, these profiles shouldn’t just spring out of your imagination. Their effectivity relies heavily on your persona’s accuracy, which is why they should be backed with enhanced data. Luckily for you, there are actionable steps to make accurate personas with the help of data. Check out how below. Because your sales team is very much exposed to your prospective buyers, it’s a good idea to pick their brains for ideas in developing personas. You can ask them about their roadblocks and success stories. Together, you can come up with a version of the buyer’s journey from the seller’s point of view, such as how long the sales cycle takes, which members of your organization lends support to your prospect, what kind of questions they ask or what information they look for, and so on. Look to sales insights and real data to validate trends. These are important indicators that can help you paint an authentic picture for your buyer personas. 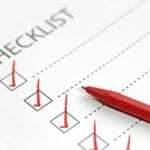 Surveys are one of the most straightforward approaches to mining data from your prospects. You can attach these questionnaires either in email marketing campaigns or community groups for them to be visible to your target audience. The only challenge you might come across is getting your respondents to answer, in which case, it may help if you incentivize your surveys. Be clear with the intention of your survey from the get-go: Mention that you will be using the answers to improve your products, services, and marketing efforts to elicit genuine responses from your sample. Much like your sales team, your customer service team has a lot of contact time with your buyers. They arguably have the most in-depth understanding of your market, as your users regularly reach out to them to share their frustrations, questions, or even recommendations. They’ll not only be able to tell you customer stories but recommend actionable ways to improve the business process as well. Don’t underestimate the power of online profiles! If your website or service requires membership, you can customize the signup fields to get accurate data from your customers. You can include as many questions here relevant to the profile page with the aim of getting to know your users more. But keep in mind that forcing your prospects to fill out too many fields will reduce your conversion rates. What you can do is send out automated email reminders for your customers to fill out their member profiles one step at a time, or once again use incentivizing tactics so that they will be more than willing to provide their info. Your customer relationship management (CRM) tool should be your bible for all things related to your customer. If they have lapses or errors, you might not be getting the accurate data you need. Make sure to review, fact-check, and validate the accuracy of these entries. Consider streamlining all your data entry points so you can reduce the instances of human error in your database. Good data hygiene will ultimately help you gain accurate results for your buyer personas. The more you understand your buyers’ journey, the better you can create content, marketing messages, and strategies that works. Anyone can create a buyer persona, but not all of them will be effective if they do not reflect the realities of the target audience you’re trying to emulate. It cannot be stressed enough how data is useful to perfect this process. Use as many data sources as you can to get accurate information when it comes to crafting your buyer personas. Backing it up with precise info will not only present a clearer picture of your users; it will also help you reach your marketing goals more efficiently. 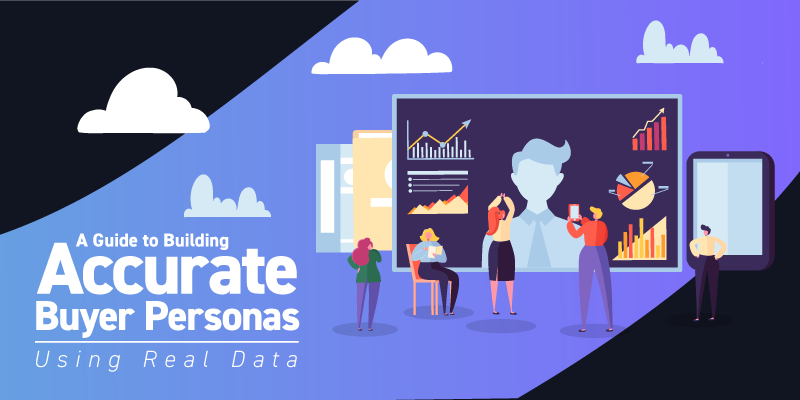 Want to know how you can understand your customers better with real data-driven buyer personas? Contact us today!